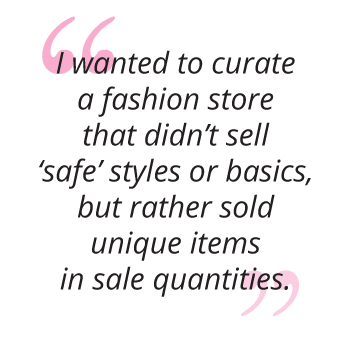 Growing up in the Western Cape, Ashleigh Battle, founder and owner of The Lot and Third Eye Wear, has always had a deep love for fashion. It was at this point, Ashleigh Battle decided to turn her passion into a business idea and embrace the path of entrepreneurship. After finishing school, Ashleigh began studying towards a business degree at the University of Cape Town, but soon realised it was not what she was created to do. As a result, she worked as a DJ until she saved up enough capital to open her first store in 2016. 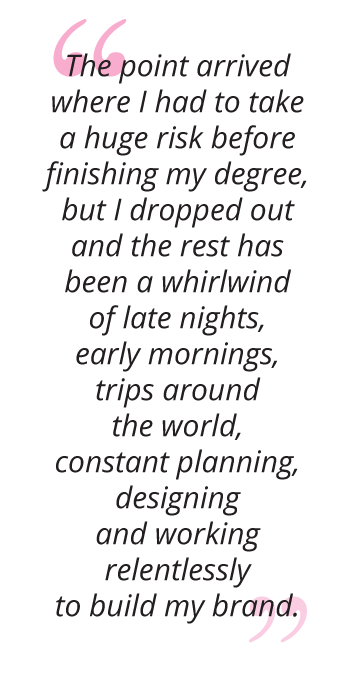 In between her jet-setting lifestyle, Ashleigh Battle decided she wanted to further her education, but returning to university was not an option due to her changing whereabouts constantly. Since taking the property investment course, Ashleigh Battle has started investing her time on some new retail and property projects, in the hope of leveraging her design talents in the form of property design and management. “I found the course to be very practical and I learnt so much from it, and I’ve now formalised my approach to property investment. Next, I want to do the Interior Design course so I can learn to use the SketchUp software effectively. Ashleigh Battle took the leap and gained the skills she needed to become a successful entrepreneur.